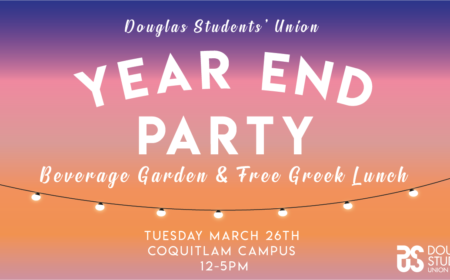 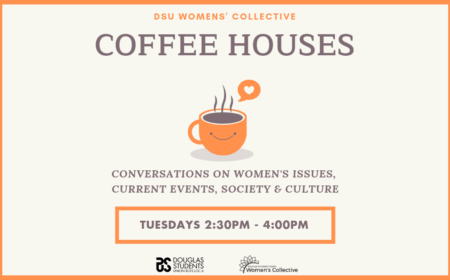 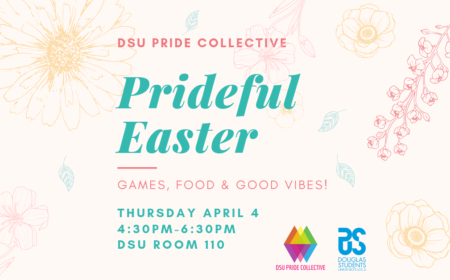 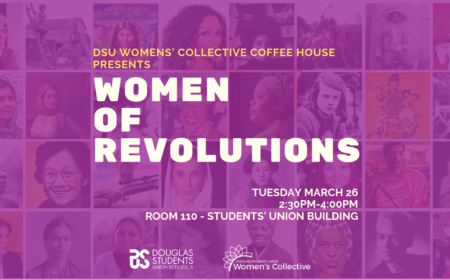 The Douglas Students' Union hosts a wide variety of events through out the year to create a fun and enjoyable experience outside of the classroom! 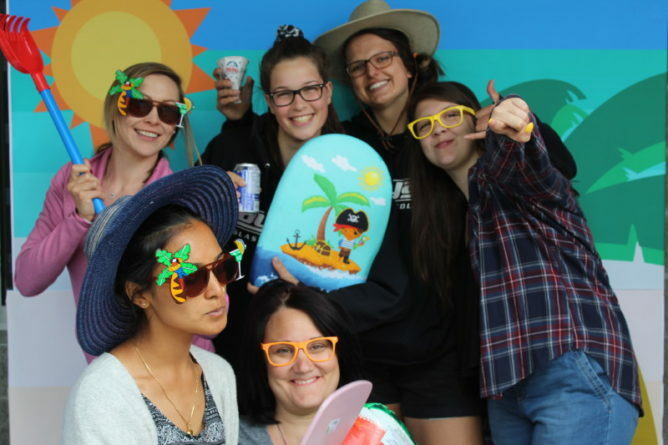 We aim to make your time at Douglas as fun and memorable as possible. 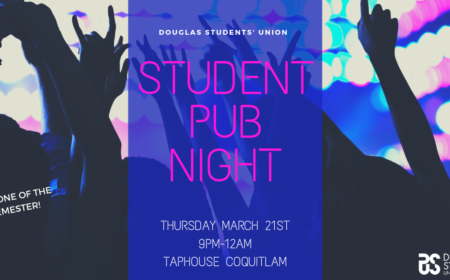 We hold events for students to keep you entertained, to learn outside of the classroom and to provide an opportunity to meet and make new friends. Whether you attend our free food events, pub nights, dog therapy days, or advocacy-centered events, we hope your participation will have you feeling more connected to the Douglas community.